Sometimes when two or more people co-own real estate property they want to ensure that if one of them passes, the other owner’s’ property interests are protected, and any transfer of property rights is done in a simplified way that avoids probate court. Choosing the right type of conveyance for your heirs can be tricky, but when done correctly it can help them avoid the delay and expense of probate court. Some ownership relationships are automatically created by law for specific co-owners. For example, if a married couple owns a piece of land jointly, the law creates an automatic survivorship protection and designates them tenants by the entirety. This is generally true unless there is language on the deed specifically designating the relationship as something else. As tenants by the entirety, when one spouse dies, the other automatically receives the other’s property interest in the land without having to seek court approval or going through probate. Joint landowners who are not married can achieve the same result if they are expressly designated joint tenants with right of survivorship. As with the tenancy by the entirety, when one of the joint owners dies, his undivided property interest in the property is transferred among the surviving owners without the need for probate. For various legal and financial reasons, property owners sometimes choose to transfer their property rights to real estate during their lifetime, and retaining fewer rights as a way to ensure a beneficiary later automatically takes the land upon the owner’s death. This is can be done by the property owner retaining what is known as a life estate and transferring the ownership rights through a life estate deed to another person. 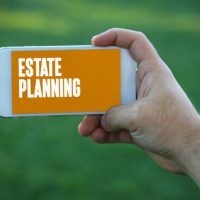 Life estates are not survivorship estates like those discussed above, but they also allow for the transfer real estate property upon a person’s death without going through probate. With a life estate the owner may continue to life on the land or use it for certain purposes, but because ownership rights are transferred to another person, called a remainderman, the life tenant cannot unilaterally sell or mortgage the land. This method gives up the most control within the lifetime of the original owner. In Florida, a person who wants to use a life estate but also wants to retain the right to sell, mortgage or lease out the property without having to get permission from the remainderman can use an enhanced life estate deed, also known as a Lady Bird deed. This has the same characteristics of the traditional life estate transfer, but allows the original owner the flexibility to make changes that best suit him and accommodate changing circumstances. Ensuring your wishes are followed upon your passing is important, and how you want your estate handled should not be left to default provisions of the law. This is why it is important to work with an estate attorney with years of experience, who can steer you away from common estate planning pitfalls. To learn more about the law handles survivorship provisions in wills and deeds, and how they can affect your estate planning, call an attorney from the Millhorn Elder Law Planning Group located in The Villages, Florida, for a consultation today.